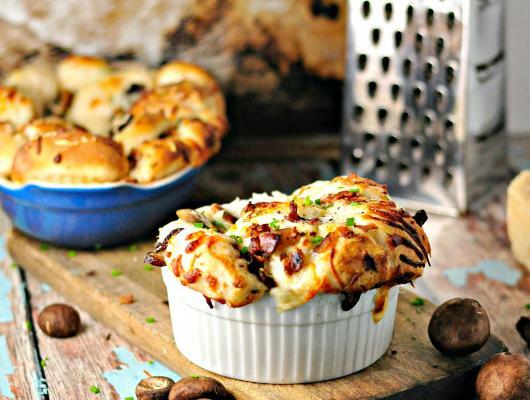 Sprinkle the yeast rolls with half of the crumbled bacon, half of the mozzarella Cheese, half of the chives and half of the thyme. Add the remainder of the yeast rolls to the top of this mixture and repeat. Top with the parmesan cheese. 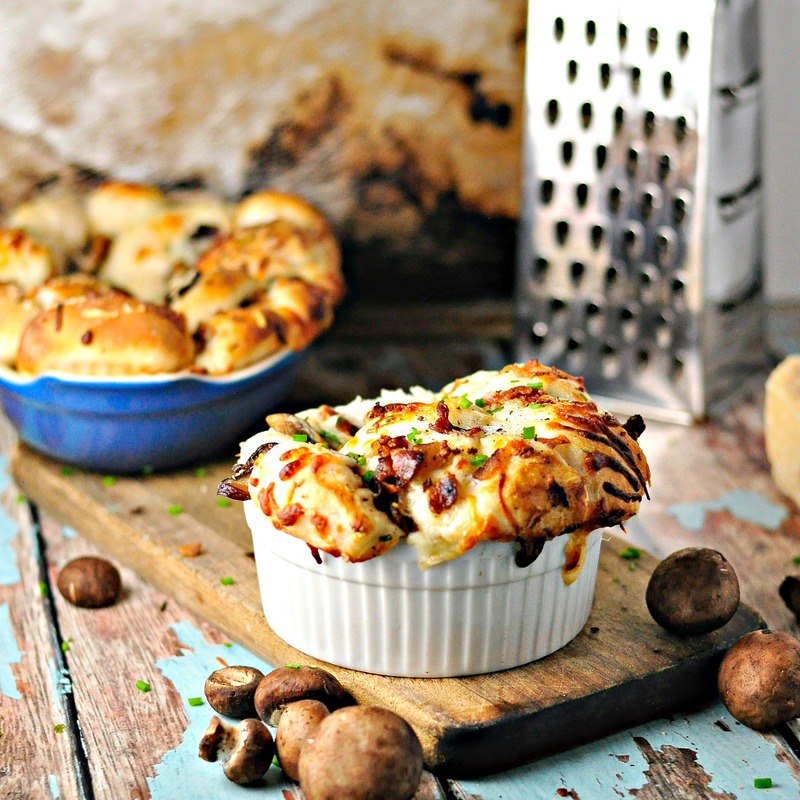 Cheesy Mushroom (Bacon - optional) Pull Apart bread- so savory and delicious with eye popping cheese pulls!